Manila is the Philippines’ crazy capital city, yet it is unfortunately missed out on most trips to the Philippines. Many tourists consider Manila to be less appealing than other big Asian cities such as Hong Kong and Bangkok. And it’s true that it doesn’t have the temples and traditions of other South East Asian cities, but it still the heart of this beautiful country and should be included on any Philippines itinerary. I’ve spent a good amount of time in Manila, and I can confirm that the city is definitely worth a visit, even if only for one day. This Manila guide should give you a good feel for the city. I’ve aimed to pull together some of the essential information you need to know before visiting Manila as well as include some of the top things to do in one day in this interesting and cosmopolitan city! Manila is located on the island of Luzon, which is a huge island mass in the heart of the Philippines’ 7000 islands. It is the world’s most densely populated city, with an incredible 70,000 people per sq km. From the sky, it is one of the most incredible places I have ever landed into and seeing Manila from above is truly awesome. Manila is most likely where your international flight will land, but I urge you to explore the city for a couple of days before heading to the beaches. Getting around Manila can be a bit tricky. The city’s public transport system is quite complicated and not really geared towards tourists. If you can, try and take a ride in a traditional jeepney. They’re the converted World War 2 trucks, painted in garish bright colours and often booming music! Otherwise, Uber and Asian ride sharing service, Grab, are your next best bets to use to get around Manila. Manila has a wealth of comfortable and luxury hotels at very affordable prices, many of which cater to a large number of business travellers. However, and considering Manila receives far fewer travellers than other islands, it also has some excellent hostels. I haven’t found a huge amount of amazing food in Manila on my visits. However, the absolute stand out place is the Corner Tree Cafe in Makati. Lovely atmosphere and delicious food – make sure to try the spinach and mushroom lasagne and the banoffee pie! Makati is generally a good place to look for great cafes and bars in Manila. 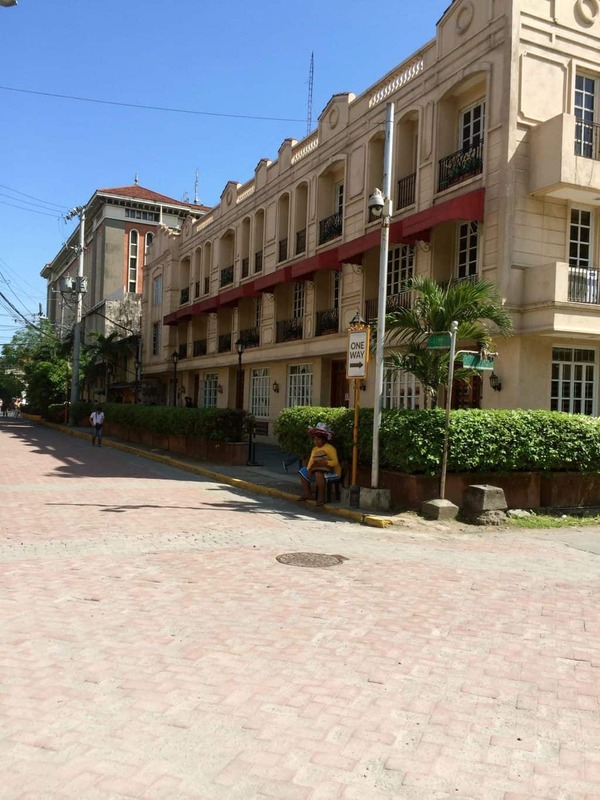 The key must-see in Manila is the area of Intramuros, known as the Walled City. This beautiful area was founded by the Spanish in 1571 as the centre of its conquest of the Philippines. For over 400 years, Intramuros was the centre of Spanish political, religious and military power in the region. Sadly, by the end of WW2 much of Intramuros was in disrepair, with only the San Agustin Church standing fully intact. However, the whole area has been beautifully restored and today, Intramuos is a great (and much calmer) attraction to visit in Manila. Expect horses and carriages rather than the mad traffic of the city outside. The best way to explore Intramuros is to pay for a guided tour by a local. There are plenty of guides around offering their services. Their knowledge of Intramuros and of the history in the Philippines is invaluable. A lot of the local guides do the tour by bicycle rickshaw, which is a lot of fun! The other main attractions in the city include exploring Manila Bay, which is home to one of the biggest shopping malls in Manila and Manila Ocean Park, which is also a great place to spend the day and definitely one of the best things to do for families in Manila. Manila is also a fantastic base from which to explore other attractions on the island of Luzon. For example, Manila is the starting point for journeys to North Luzon to see them famous Banaue rice terraces. Closer to Manila, there are also some amazing day trips including places such as the Taal Volcano and the Pagsanjan Falls. So there you have my guide to exploring Manila in one day. Whilst you could stay for longer, 24 hours is a good amount of time to get a feel for the capital of the Philippines. Hopefully this blog post on Manila in one day is useful in planning your own Philippines itinerary. Feel free to drop me a line if you would like any advice or further recommendations. You may also find several of my other blog posts useful on the Philippines. in fact here are my top tips for travelling through the Philippines and this here is my three week travel itinerary through the Philippines. Disclaimer: This visit to Manila in the Philippines was entirely paid for by myself and there was no involvement from the tourism board or a hotel. This is an independent guide. Enjoyed my guide to exploring Manila in one day? Pin it!